Double Bonus Spin Roulette gives you the classic roulette game with an additional twist, this twist being a super-wide yellow bonus. This bonus offers players the chance to earn extra wheel spins and potentially earn extra cash prizes. 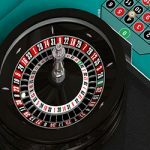 Roulette is one of the most popular casino games across Europe, and allows players to choose the level of risk that they are comfortable with, to try and gain cash rewards. If you can predict a specific outcome, then this will bring bigger rewards. Players can reduce the risk of losing by betting on several numbers that they think will be the outcome. You can place a wager that covers the entire bet or you can place separate wagers for each bet. Bets can also be placed in the middle or even on even money, this is where you try to spot trends between red or black, odd or even and high and low. Double Bonus Spin Roulette features an extra well on the wheel that is 1.5 times as wide as the standard roulette wells. If you spin and the ball lands within this yellow well, you will receive two free bonus spins. If you’ve placed a wager on the yellow, and the bet is correct then you will also get an instant bonus award as well as your two free bonus spins. This also gives players the chance to win a huge payout. Select your chip value from the game controls on your game screen, each chip represents a number of credits. Place your bets on the betting table with your cursor or touch screen. Move your cursor across the board and you will see the payback ratios for the bets you’ve placed. Left click the mouse on your chosen wager spot, for every click you press, another chip of your selected value will be added to the stack. Press the spin button to start the game. To clear a bet you press the clear button. You can rebet with your last wager by pressing the rebet button. The double bet button doubles your current wager every time you click it. In this bonus, two blue lights will appear on the wheel. Click the bonus spin button and both lights will rotate around the wheel, before coming to a stop next to a well on the wheel. If a blue light stops on a well that you’ve placed a bet on, you will win that wager. If you fancy playing this game, you need to head over to Rizk Casino. New players can get a great deposit bonus. You can double your first deposit thanks to the 100% deposit match bonus. 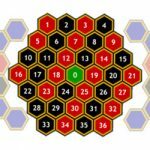 Bonus position is 1.5x larger than the other numbers.